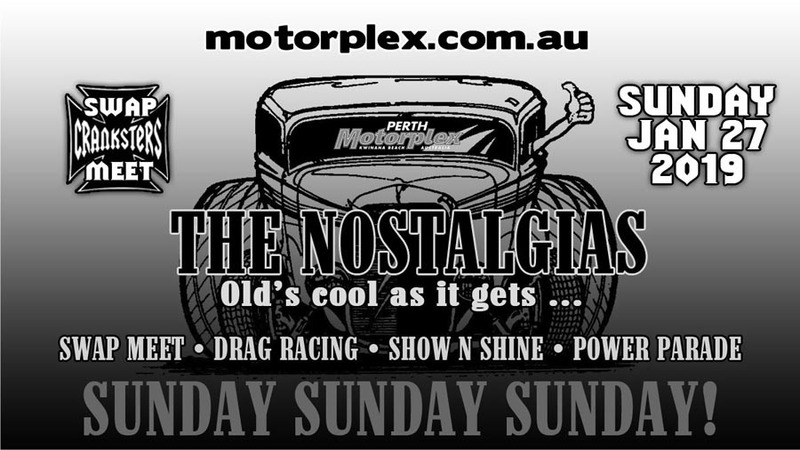 Perth Motorplex will rumble to old school cool on Sunday, January 27 for an event known as The Nostalgias, where classic street machines, hot rods and dragsters take part in a combination race and show. Among those taking in the event will be Boris Viskovic, one of Perth’s foremost authorities on classic and modified cars. Viskovic has been the Western Australian correspondent for Street Machine Magazine for some 15 years and an avid participant in past Nostalgias with his 1967 Rambler. He has watched the nostalgia scene grow in popularity. “In the late 1980s, when I first got my car, there wasn’t really a ‘nostalgia scene’ in Perth,” he said. Viskovic’s Rambler is a rare sight on Australian roads. For over three decades he has customised and modified it to be a street car that does it all. “It’s my daily driver, I run the kids to school in it, go to the shops and race it occasionally – sometimes all in the one day!” he said. Then Viskovic got serious. 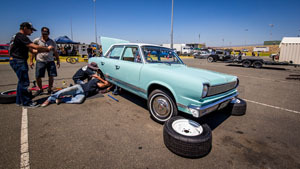 He went to a Rambler 360 with forged rods and pistons, plus a host of other go-fast bits including a Lunati hydraulic flat tappet cam, Edelbrock alloy heads and Air-Gap intake with a Holley HP Street 750 double pumper carb. “That motor went in about eight years ago and it went straight to a low-13 second car,” he said. Viskovic is well known in Perth’s car culture for his years of service to Street Machine magazine. “I had a website which I started in 2000 or thereabouts and would cover car shows and cruises When I chucked my job in working for an IT company, I approached Street Machine.